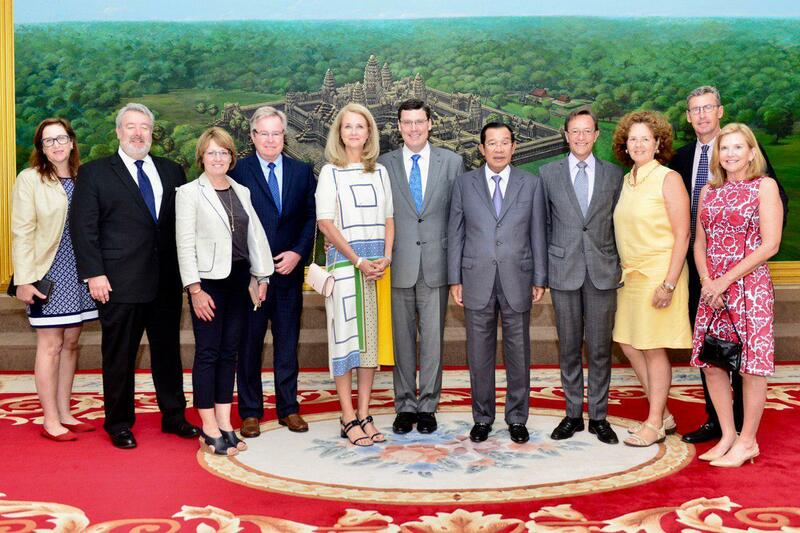 Phnom Penh (FN), Feb. 19 – Cambodian Prime Minister of Cambodia stated Tuesday that the presences of international law firms in Cambodia encourage investors to come to Cambodia, speaking in a courtesy call from Matthew A. Taylor, Chairman and Chief Executive Officer of the Duane Morris LLP Firm, at the Peace Palace Phnom Penh. 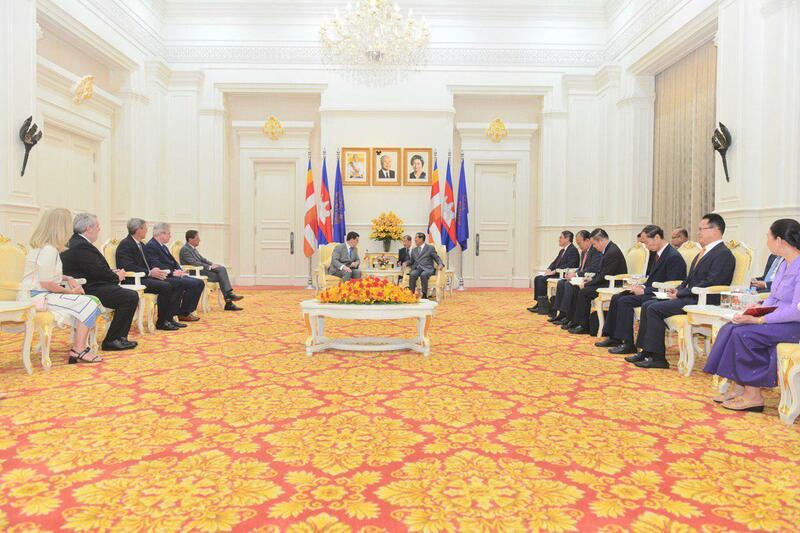 According to Prime Minister, Cambodia did not allow firm owned by foreigners in the kingdom; however, in accordance with the World Trade Organization rules, Cambodia amended the law to allow foreign lawyers in Cambodia, a move to promote investment to Cambodia. According to Eang Sophalleth, personal secretary of the premier, Duane Morris LLP is a law firm headquartered in Philadelphia, Pennsylvania. 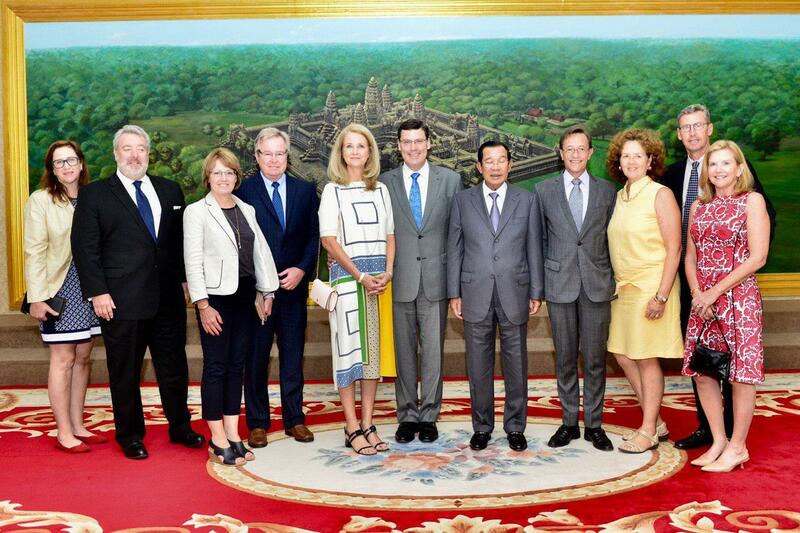 Founded in 1904, the firm now has 29 offices and 800 attorneys in the United States, London, Singapore, Vietnam, Oman, Myanmar, Shanghai and Taiwan. 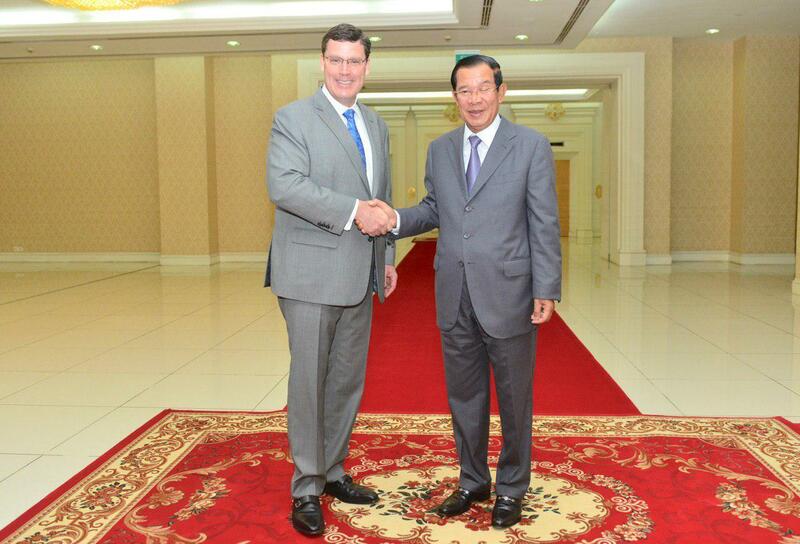 Matthew told the premier that his visit to the kingdom this time aimed to attend the Asia Legal Summit in Cambodia. 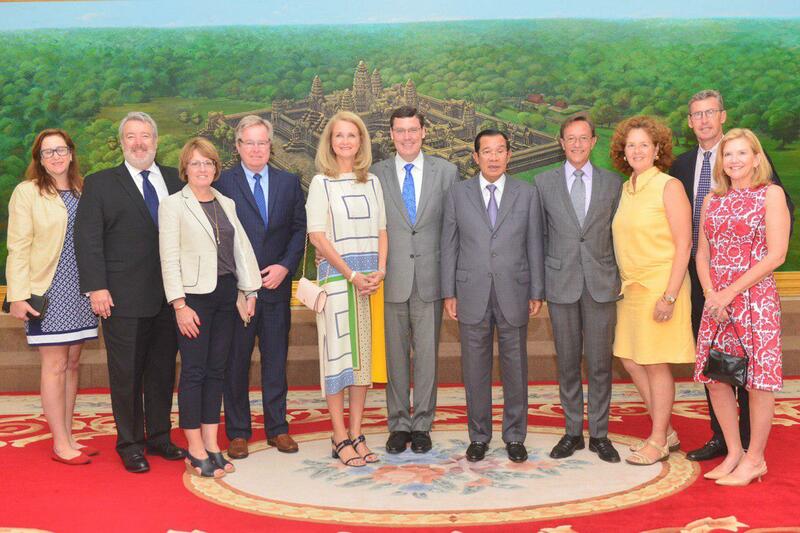 Matthew was so excited to see the beautiful Kingdom of Cambodia; particularly, his delegations had the chance to visit the marvelous Angkor Wat in Siem Reap. 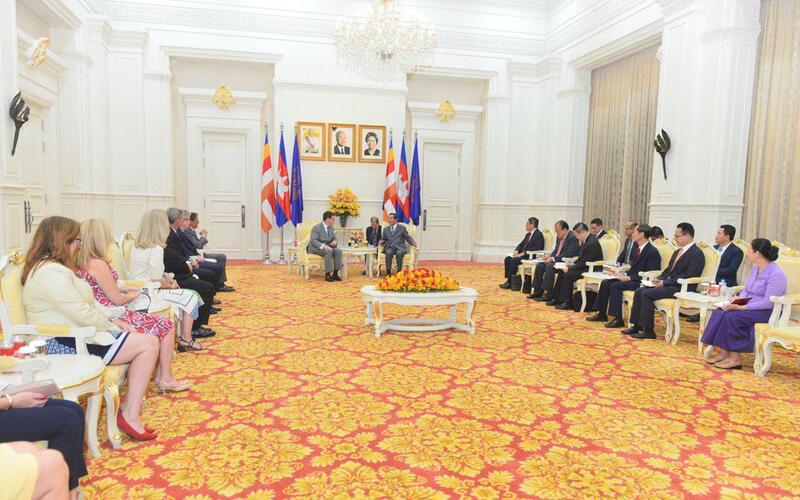 Matthew also pledged to learn about legal perspective of Cambodia to provide effective and transparent legal aids to his clients who are the investors in Cambodia, Sophalleth told the press after the meeting. 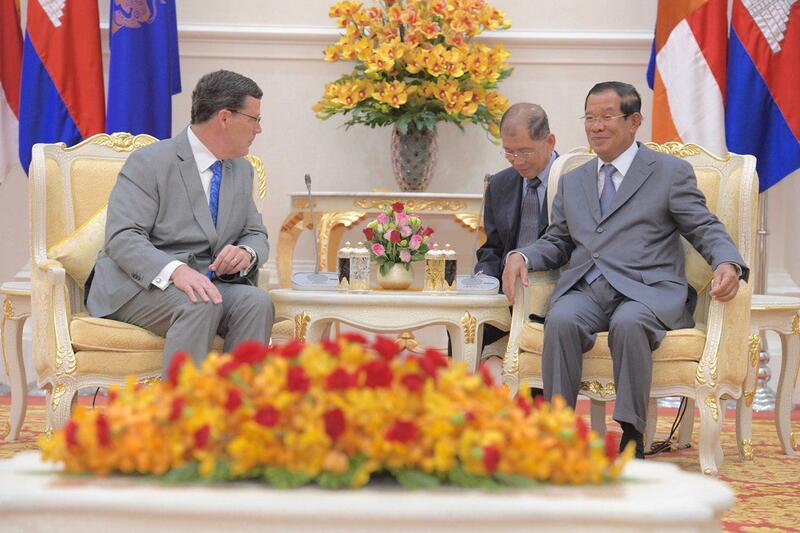 Prime Minister Hun Sen, in response, informed Matthew that he just formed his own legal team of about 50 lawyers. 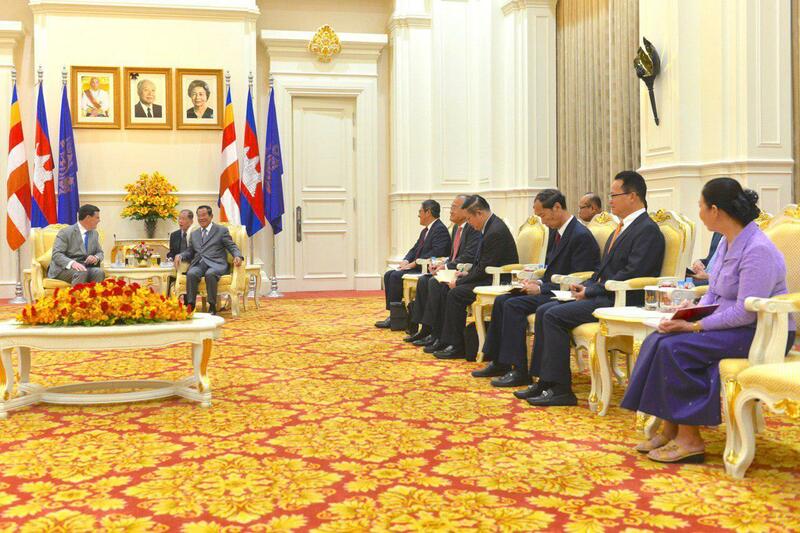 Headquartered at the Council of Ministers, the team will provide free legal aids to unfortunate Cambodian women in accordance with the rule of law. 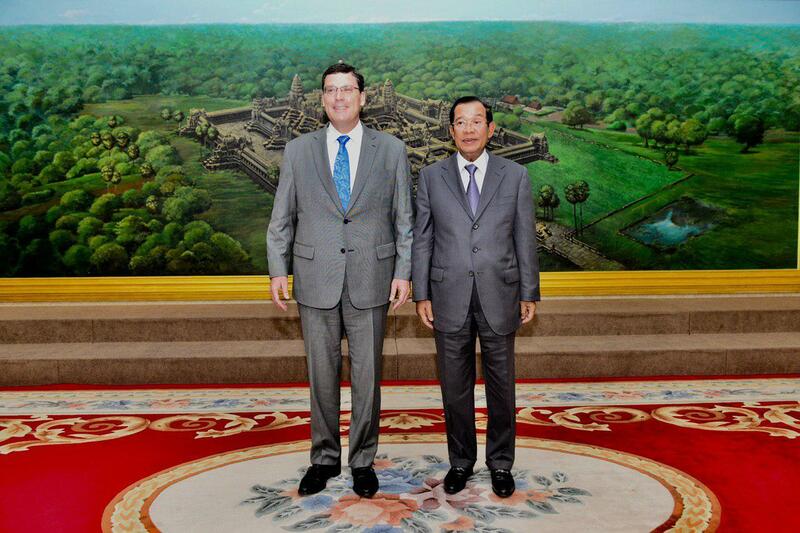 Head of Cambodian Government Lawyers Council Ky Tech told founder and CEO of Fresh News Lim Chea Vutha on Monday that he was assigned by Cambodian Prime Minister Hun Sen to form a legal team. 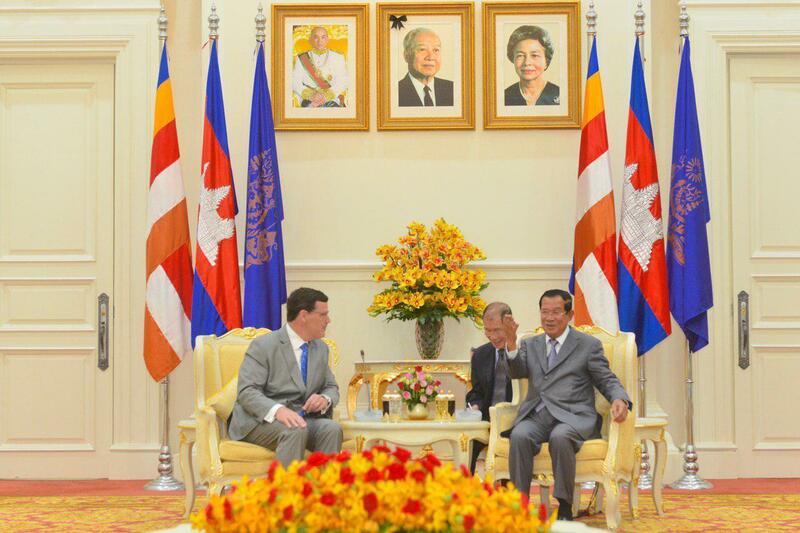 Ky Tech expressed his commitments to settling cases to seek justice for unaffordable Cambodian women nationwide, speaking in a special interview with Fresh News.